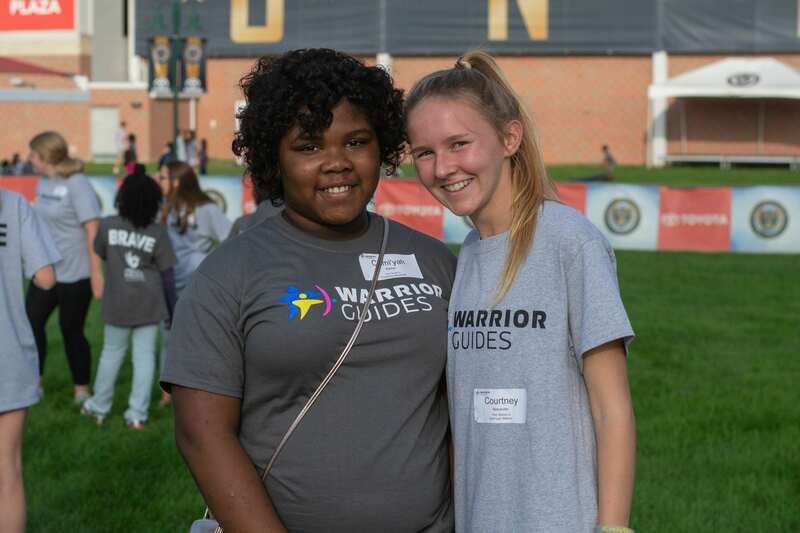 On Sunday, October 8 our Warrior Guides and Braves for the 2018 – 2019 school year finally got to meet each other! 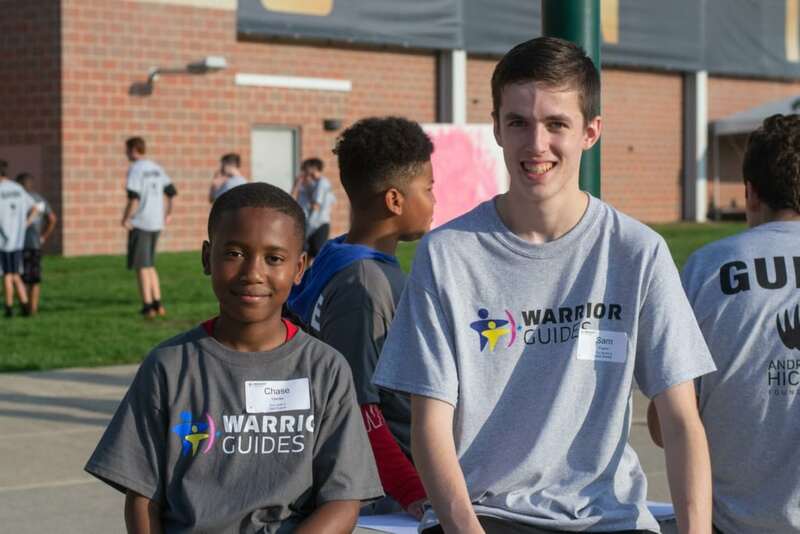 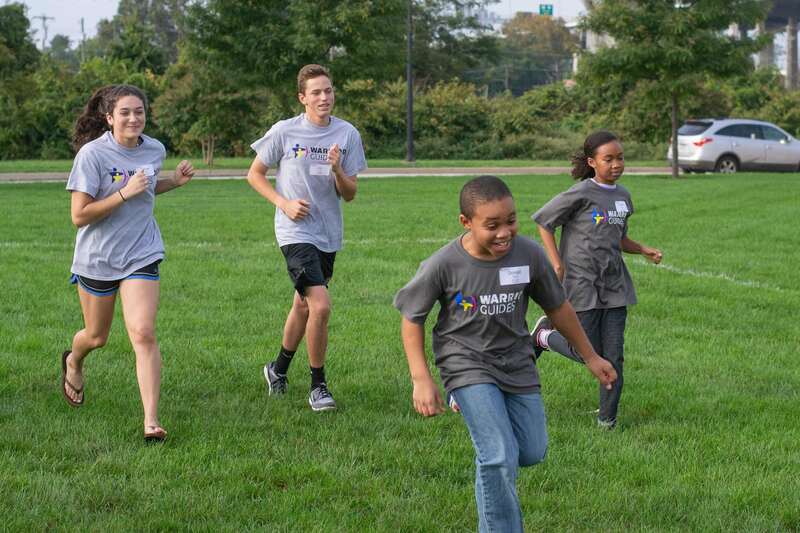 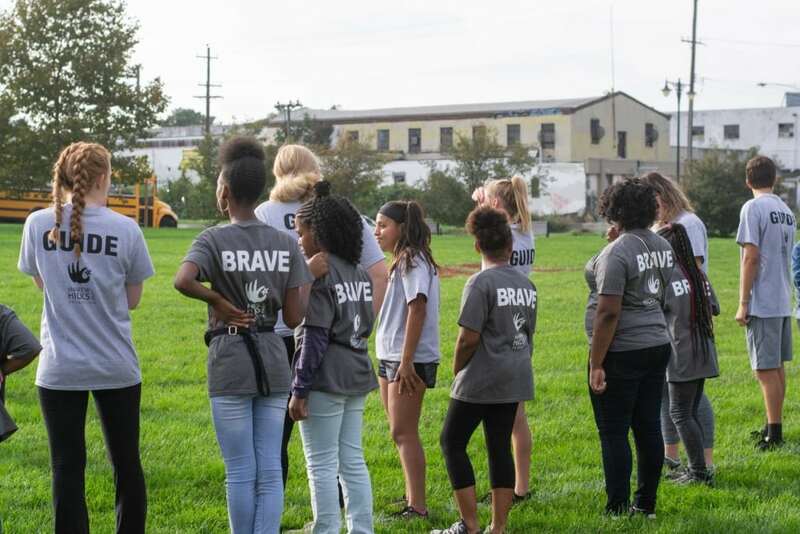 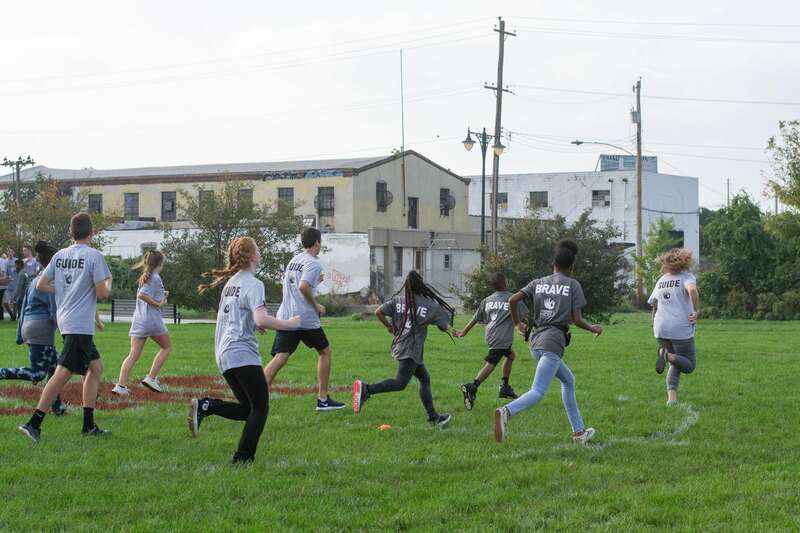 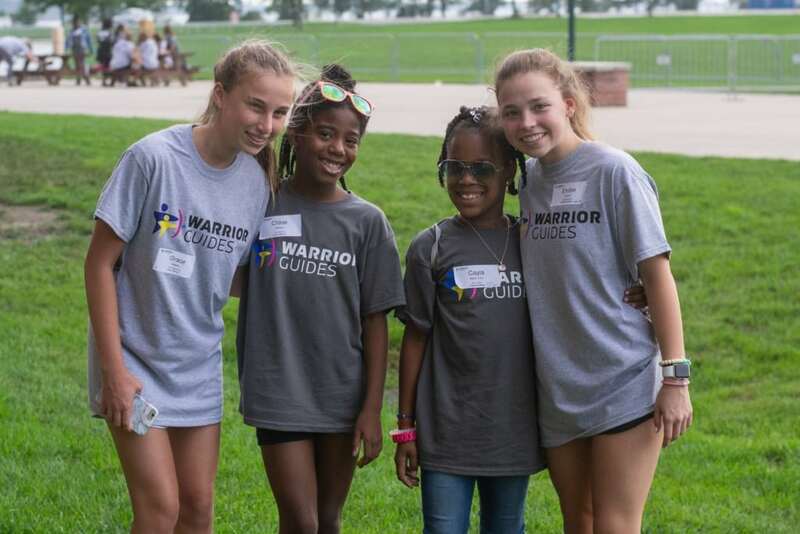 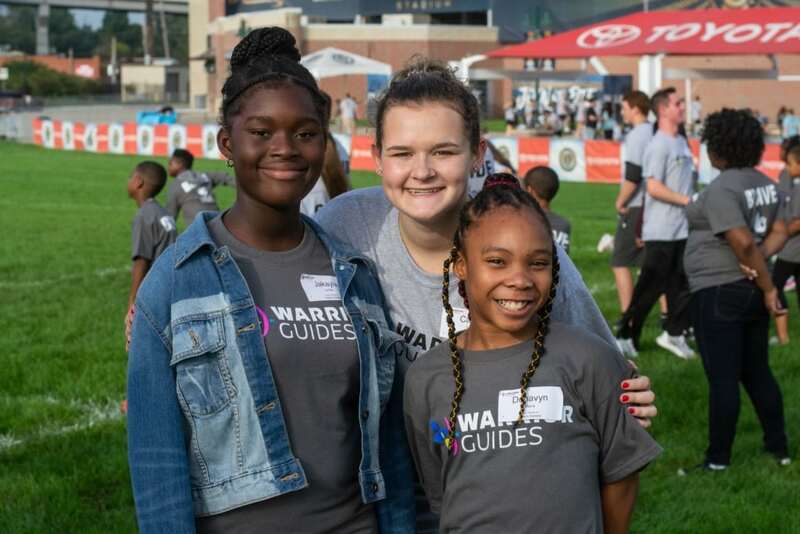 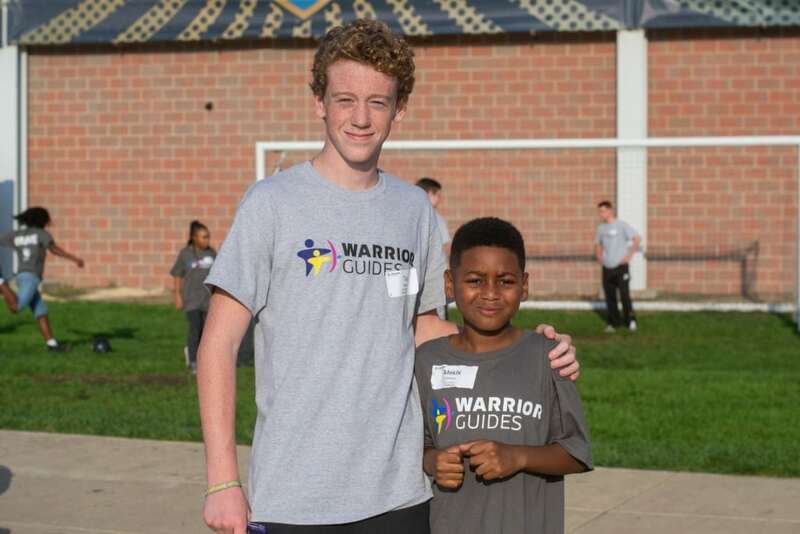 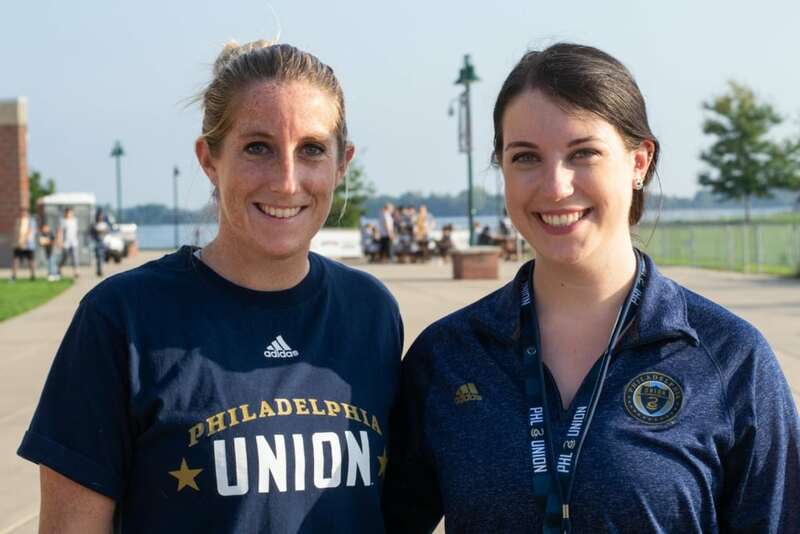 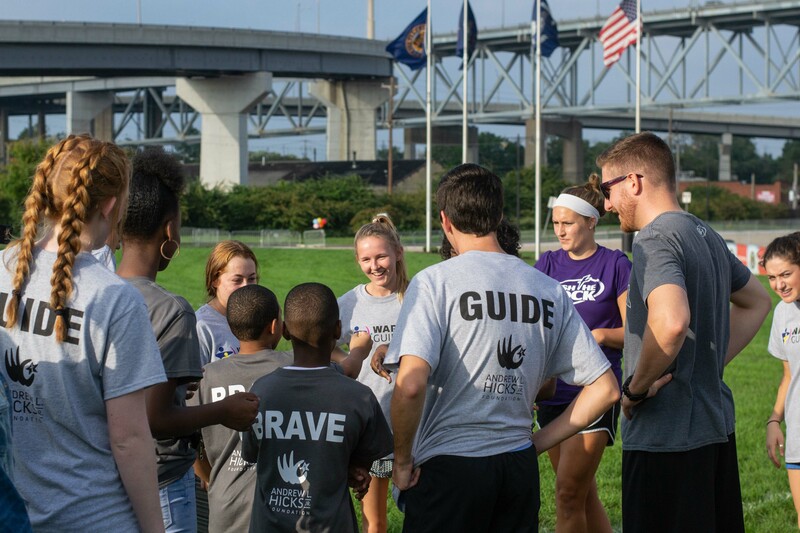 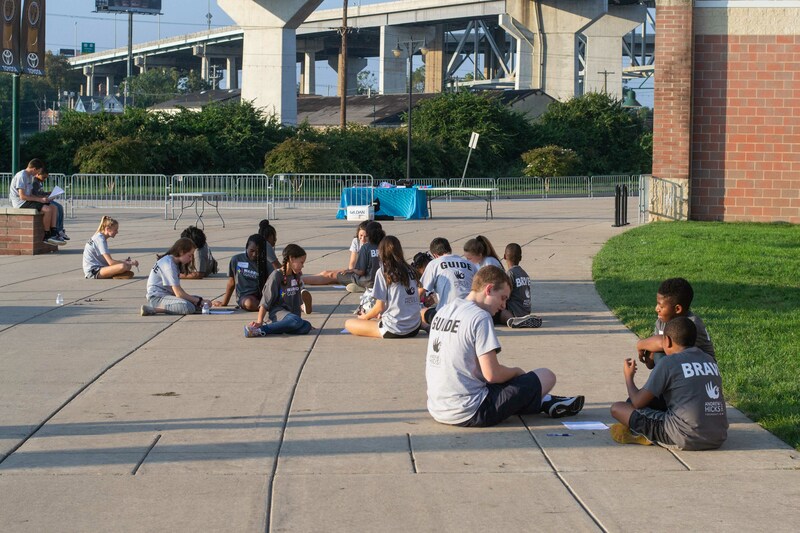 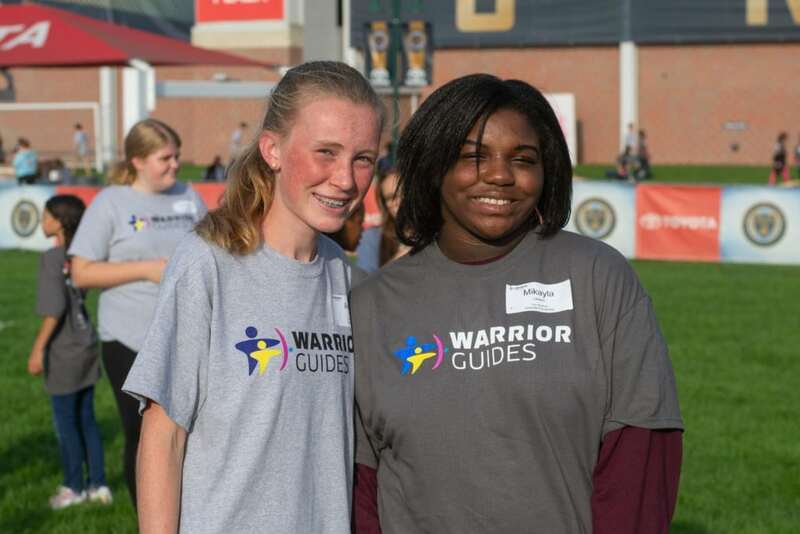 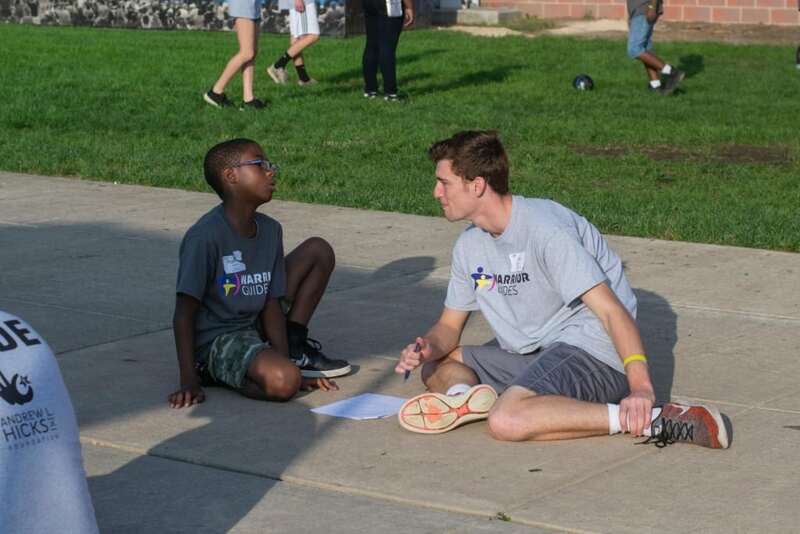 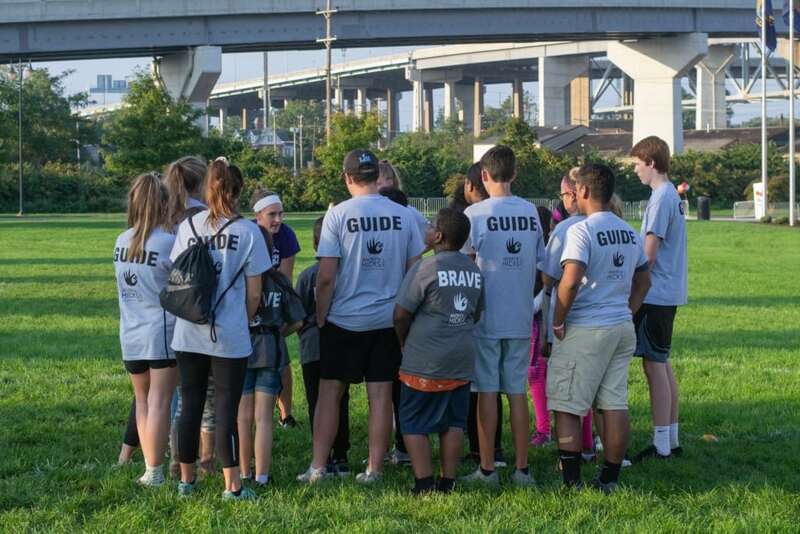 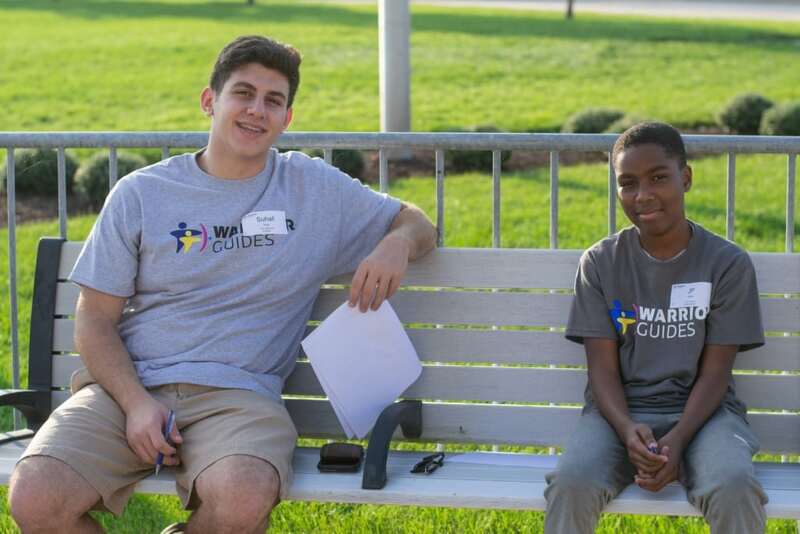 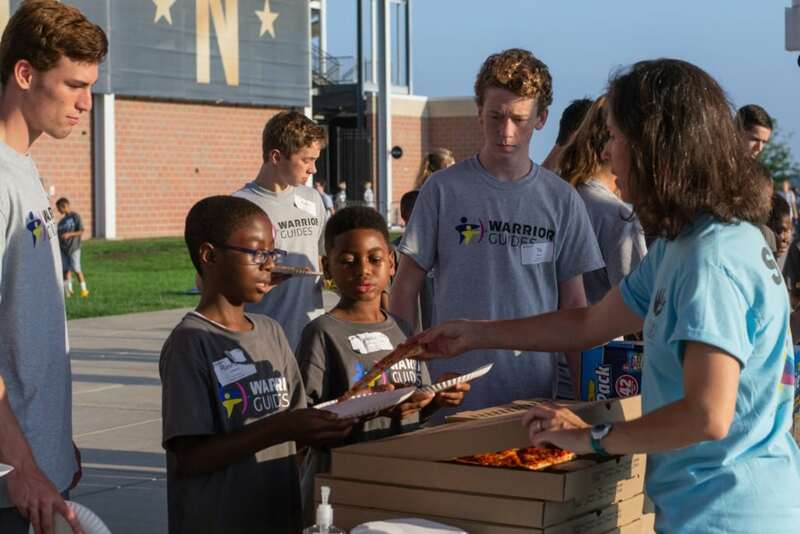 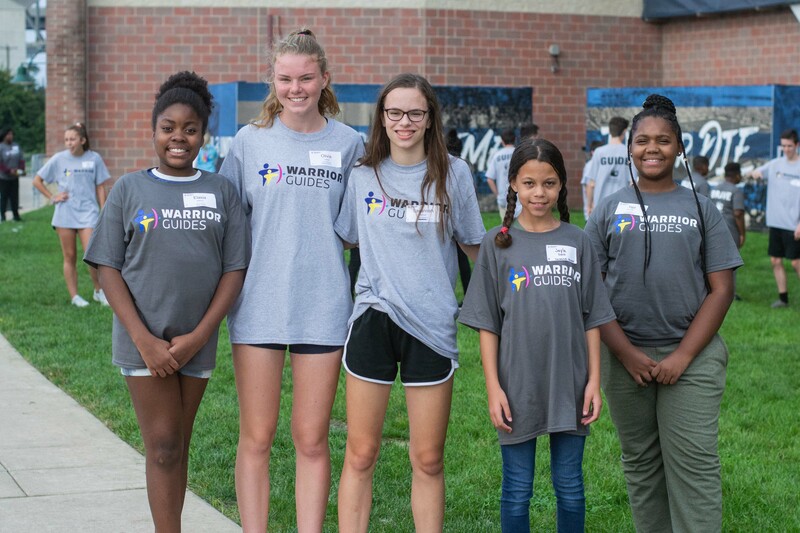 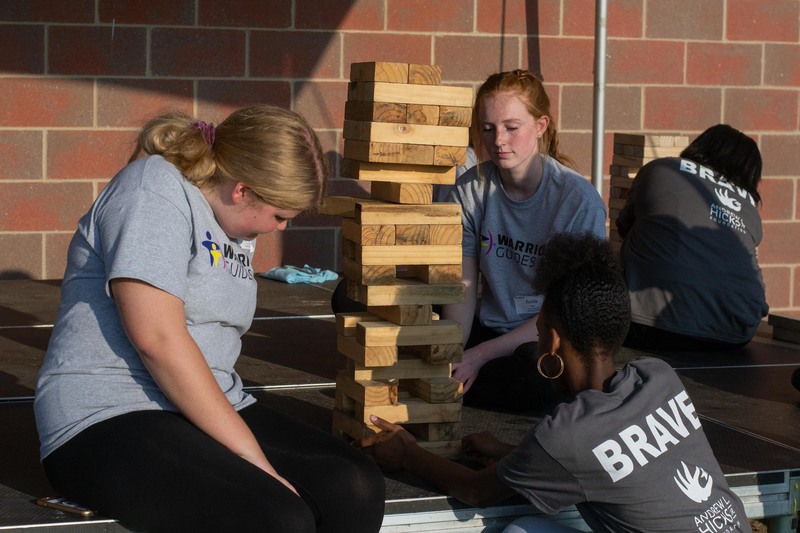 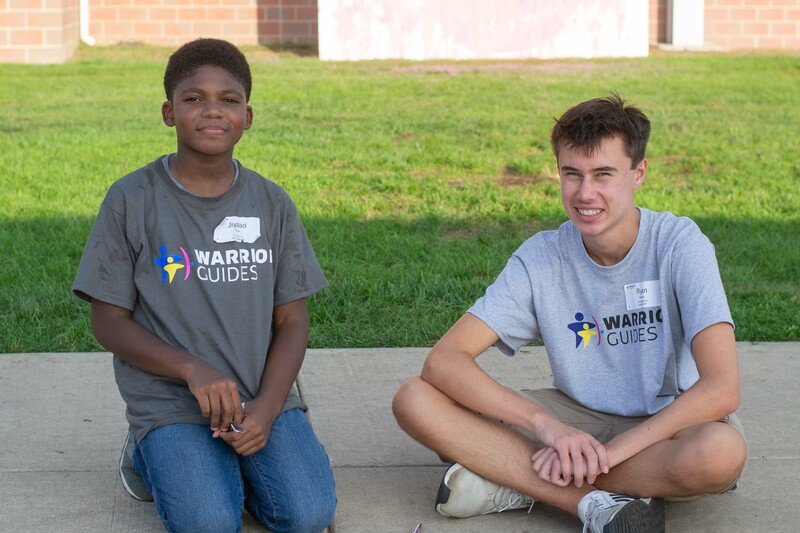 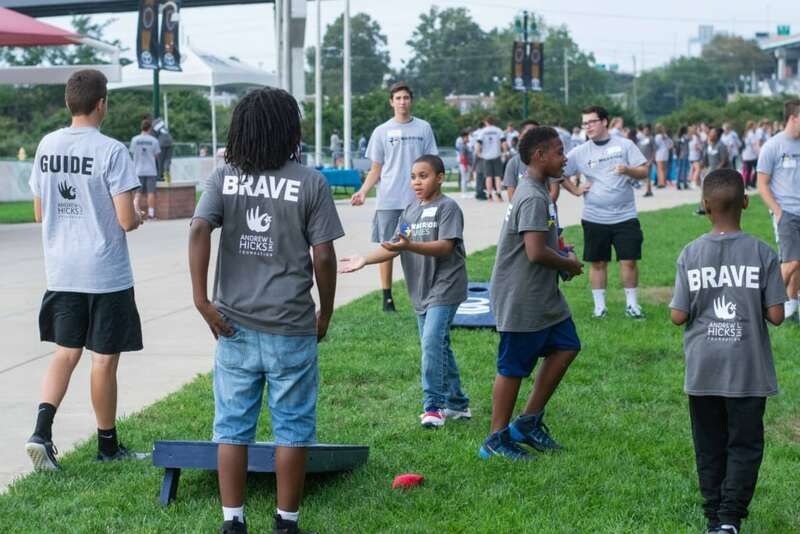 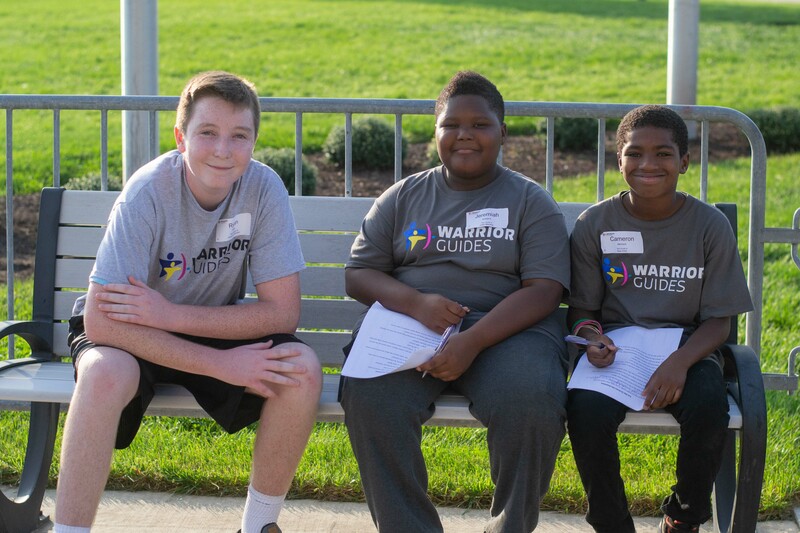 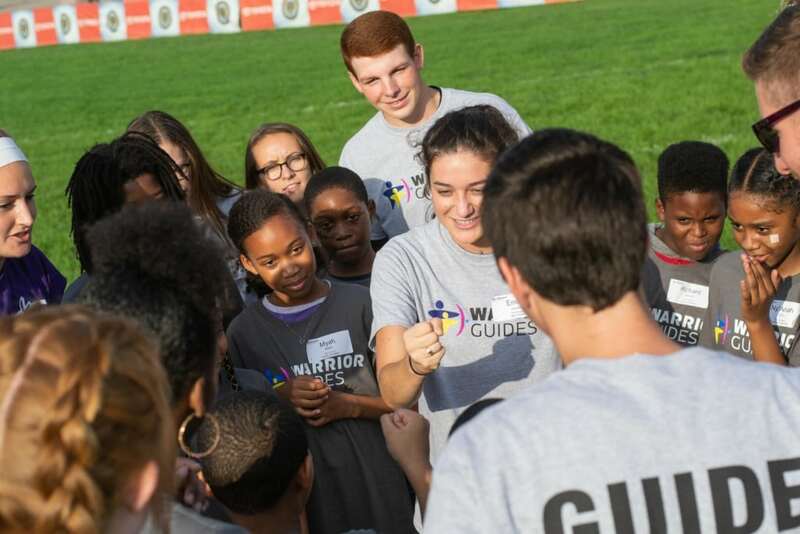 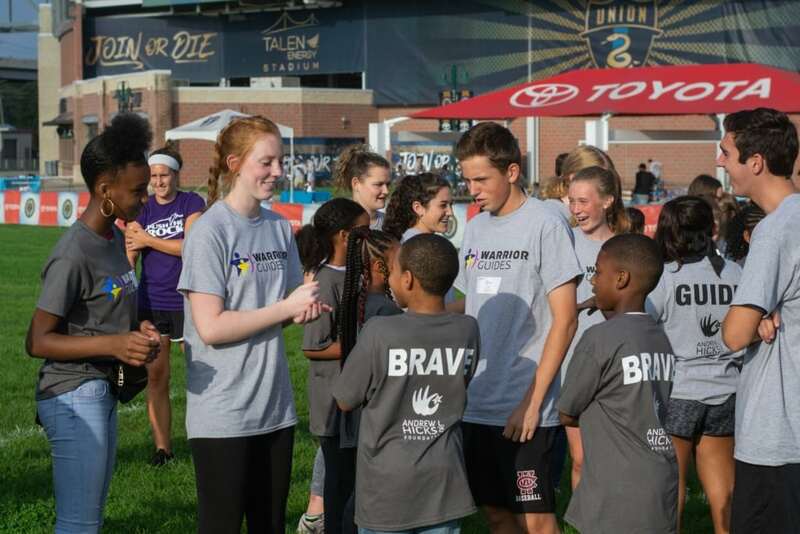 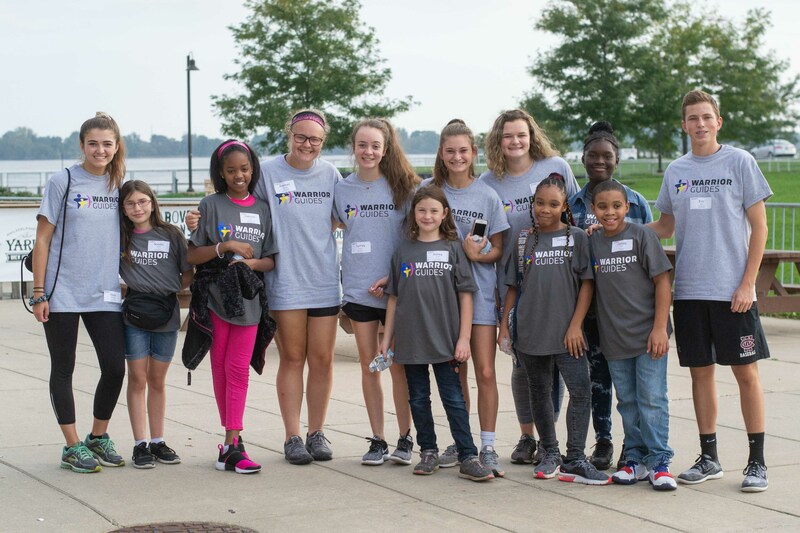 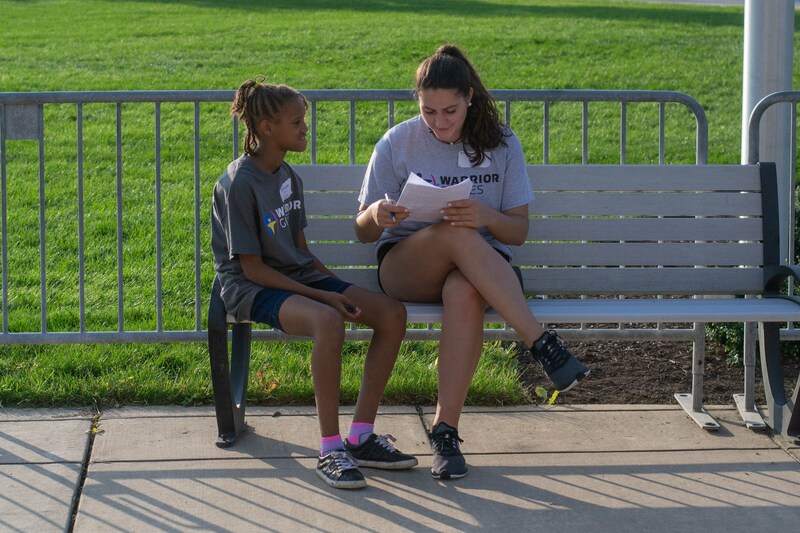 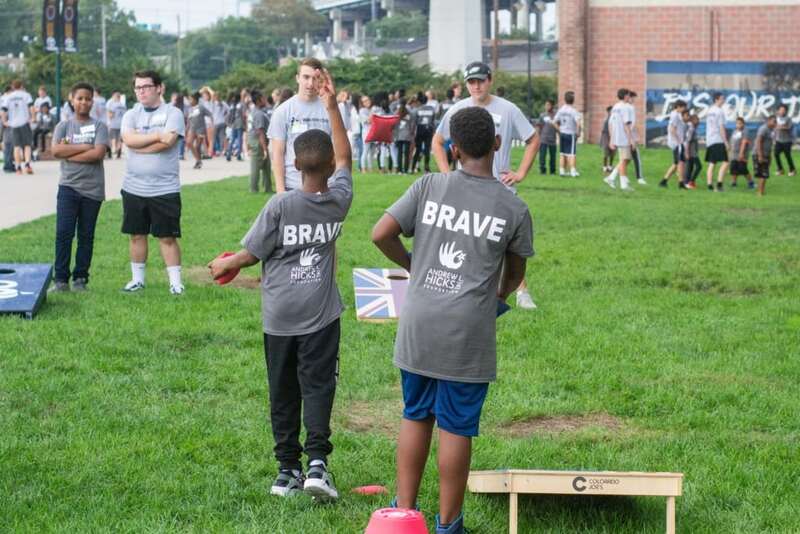 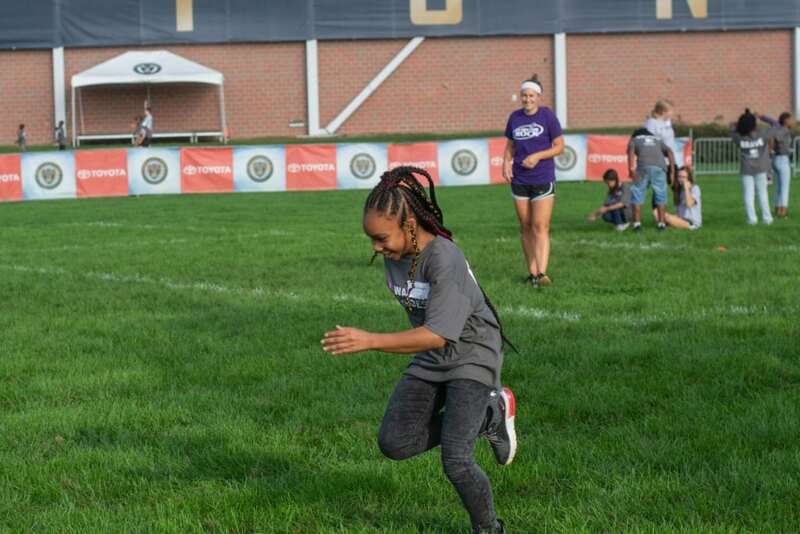 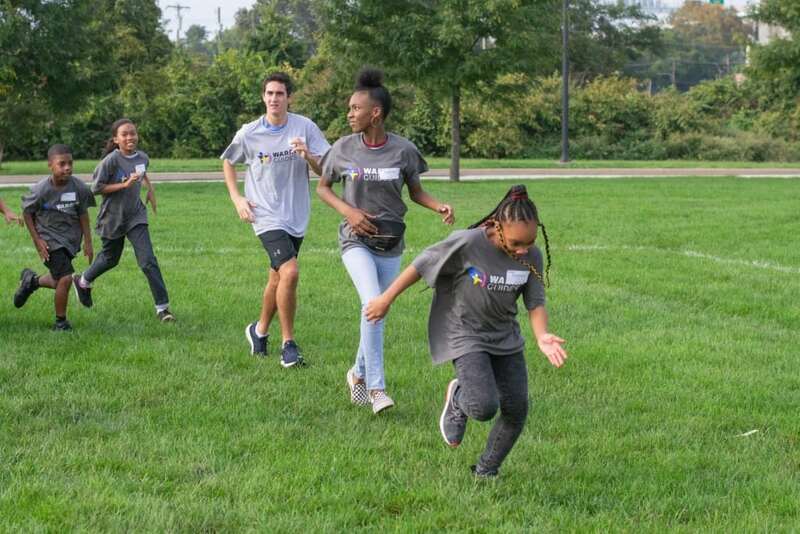 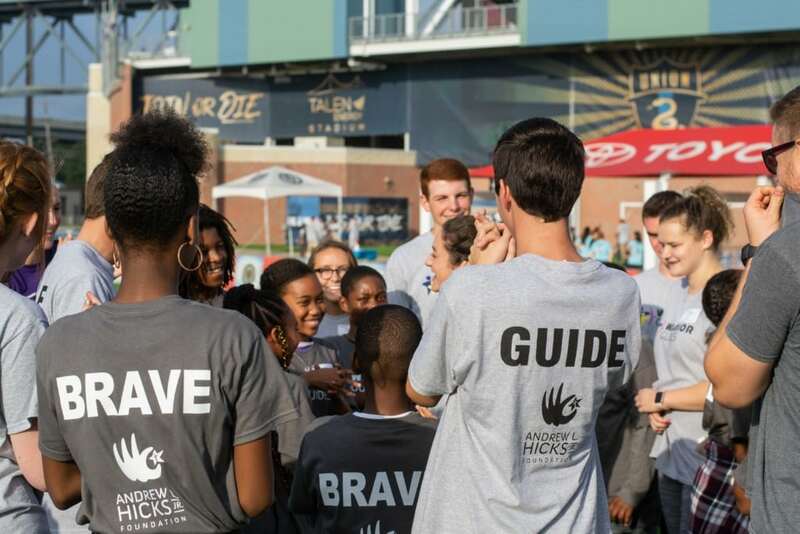 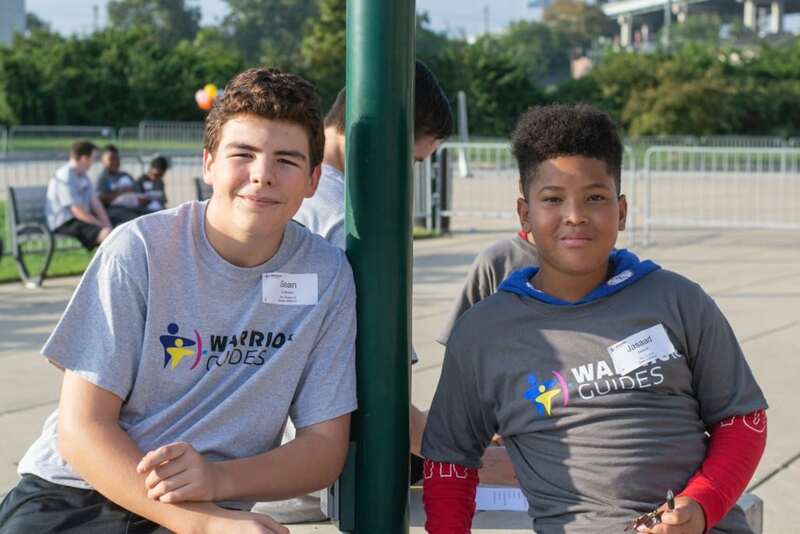 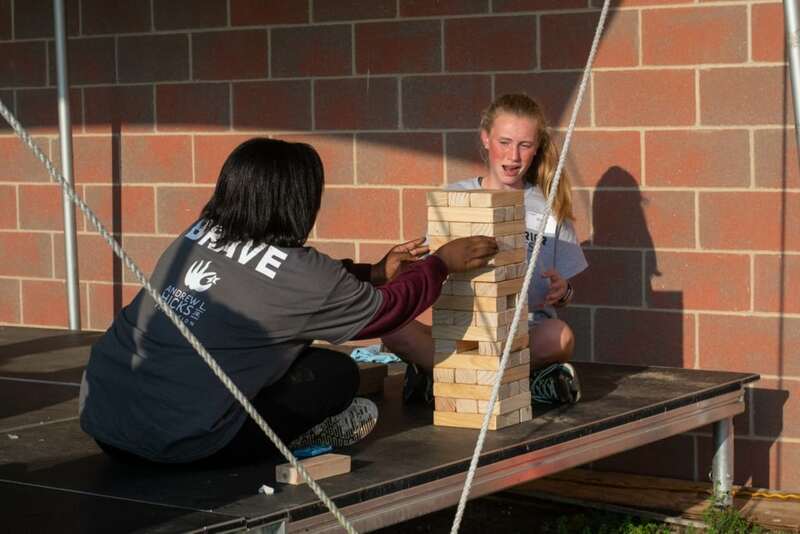 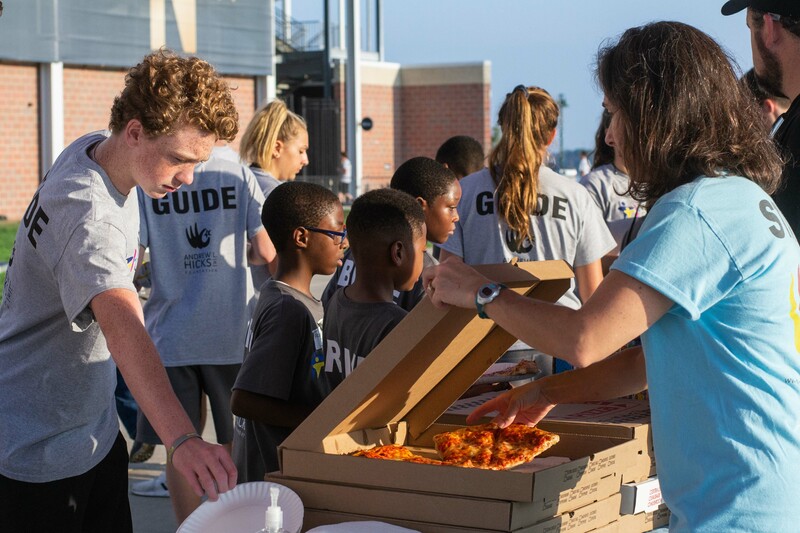 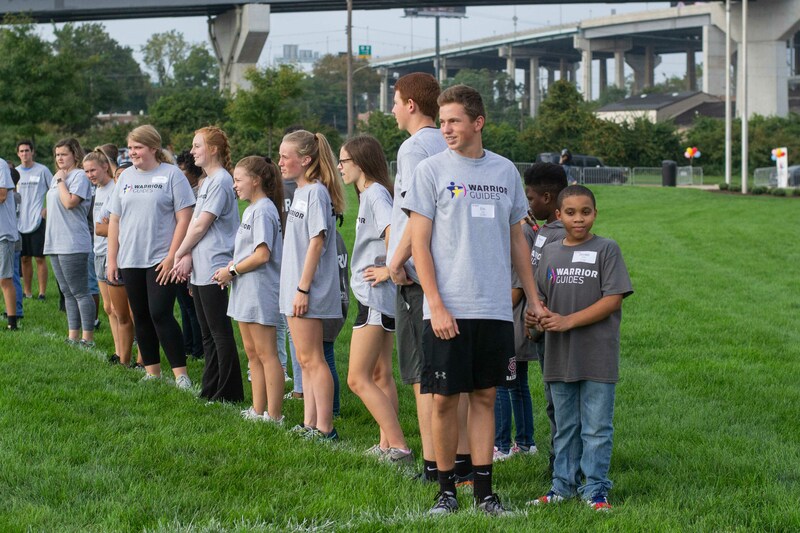 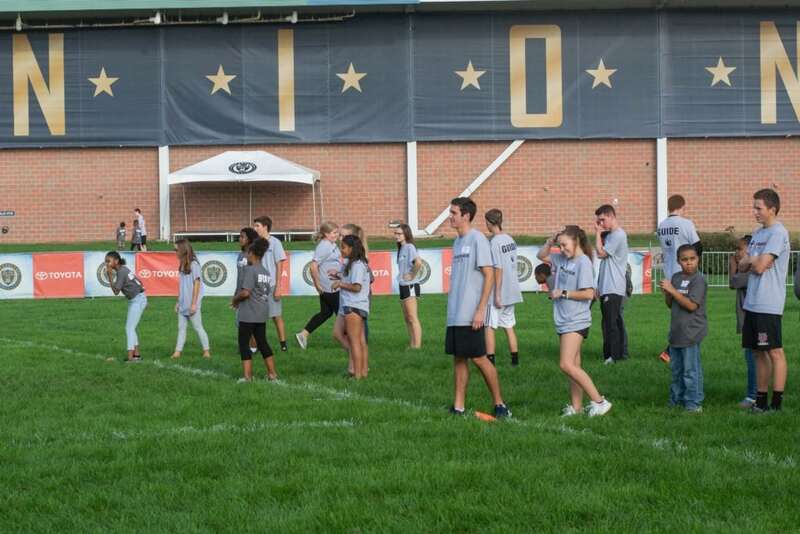 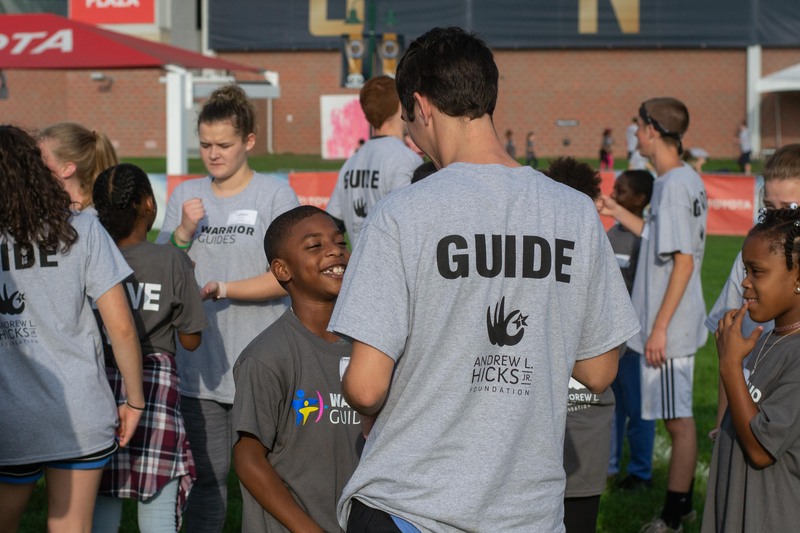 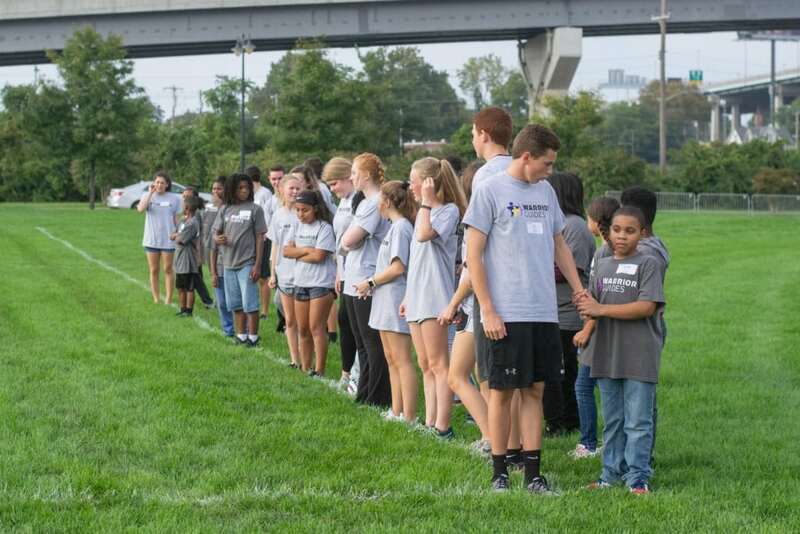 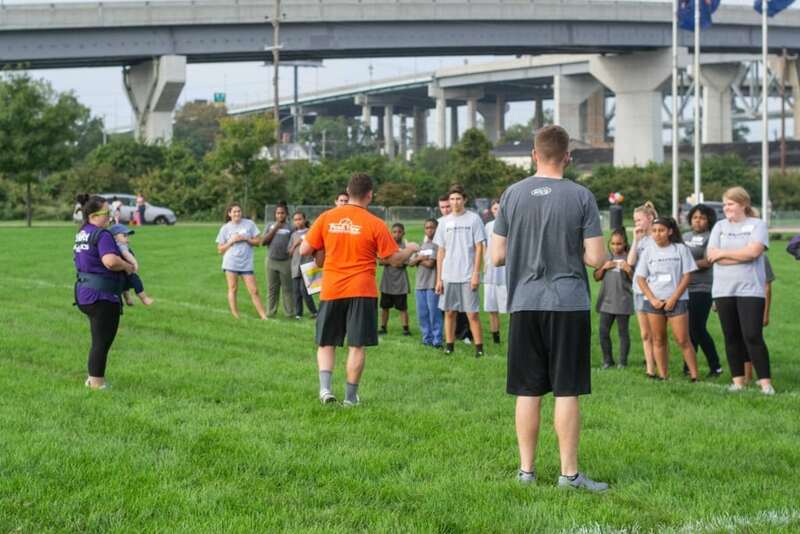 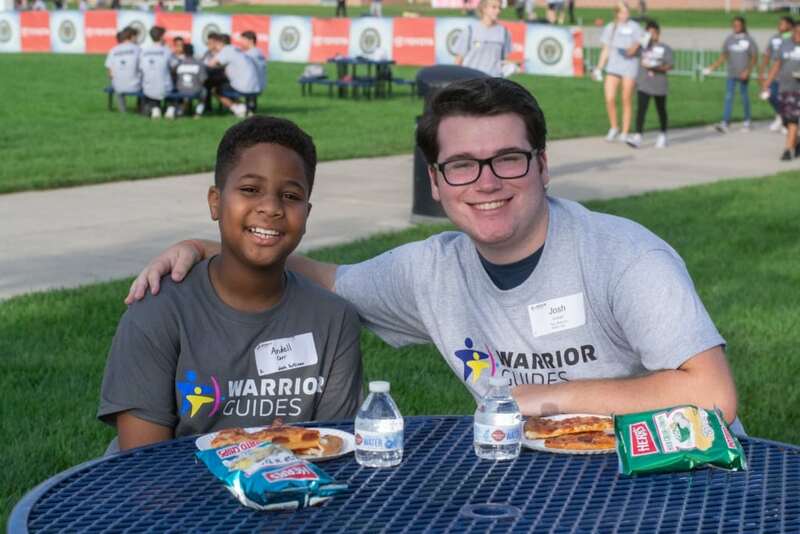 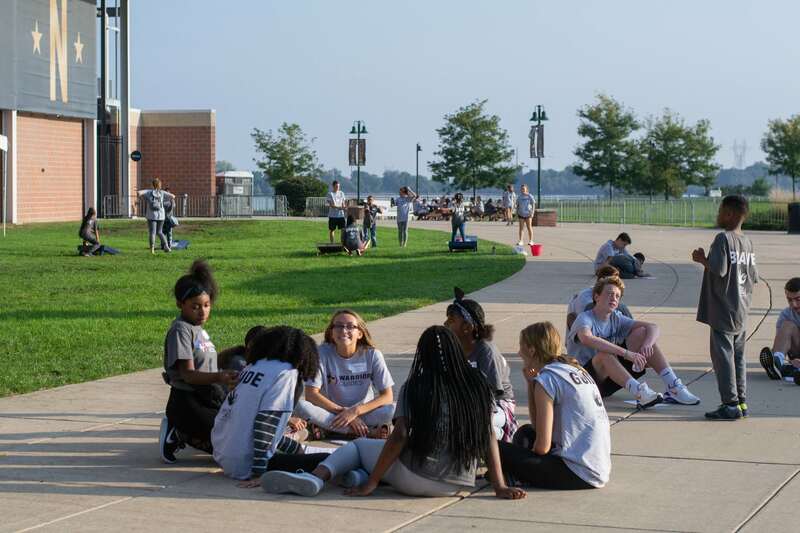 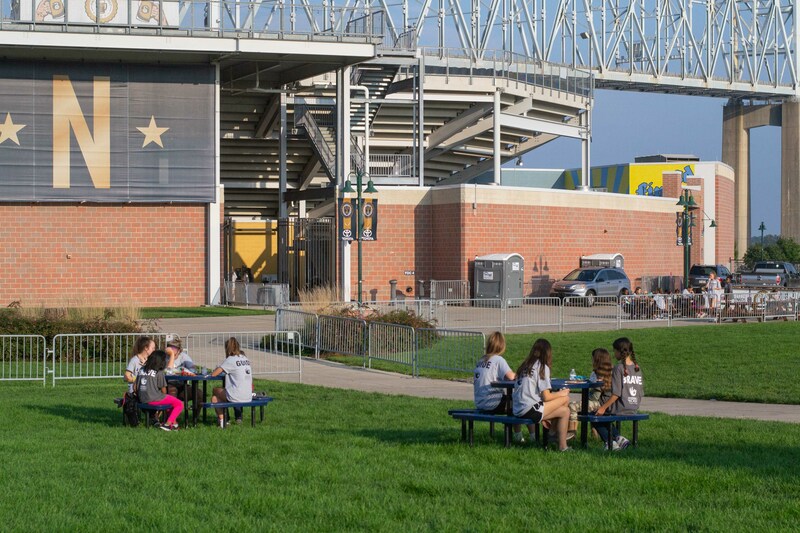 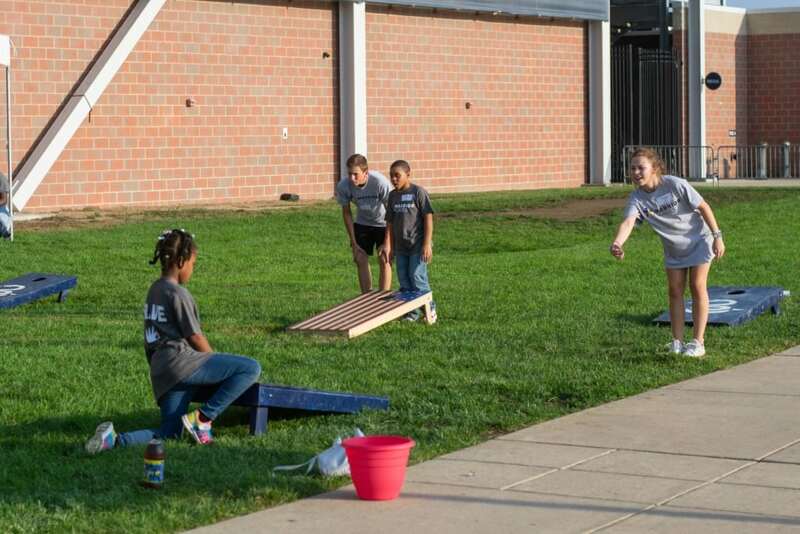 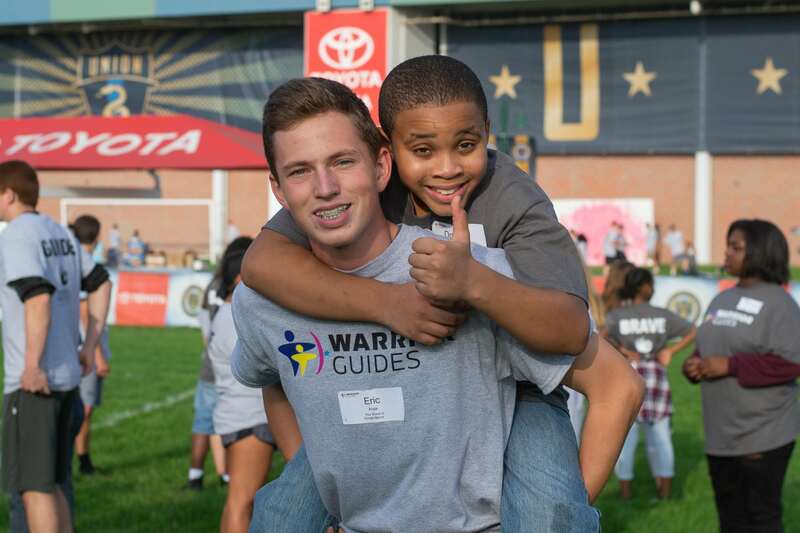 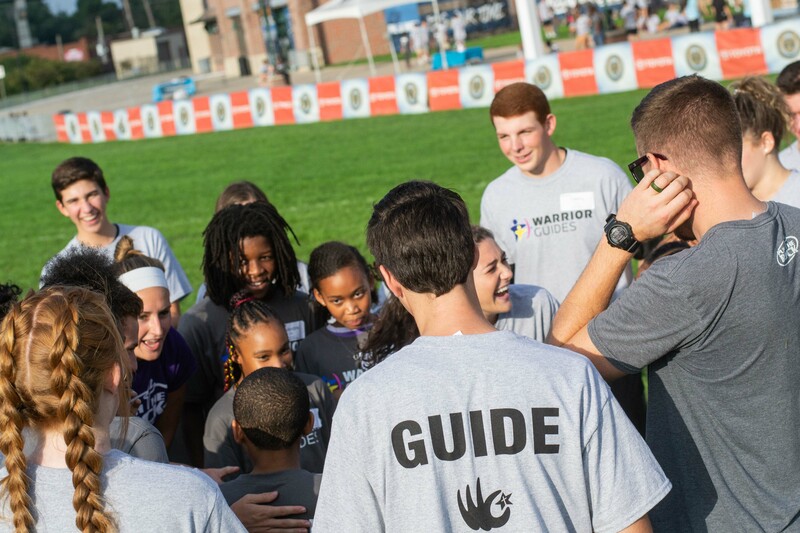 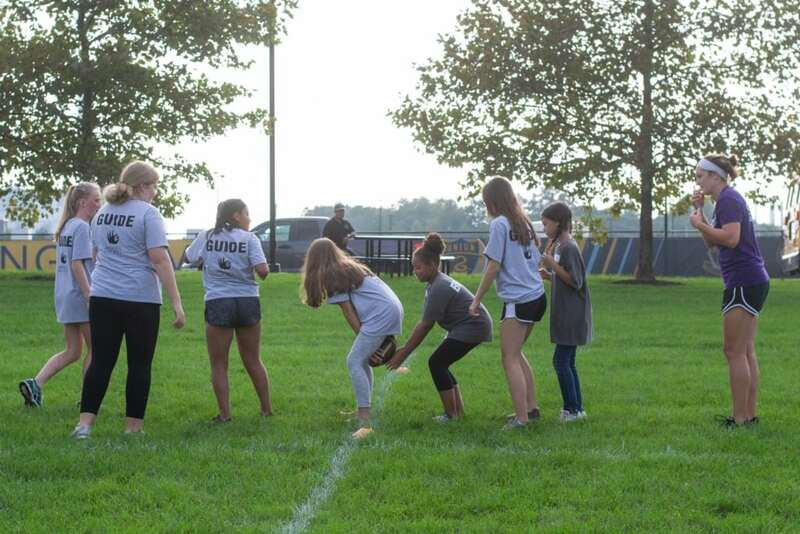 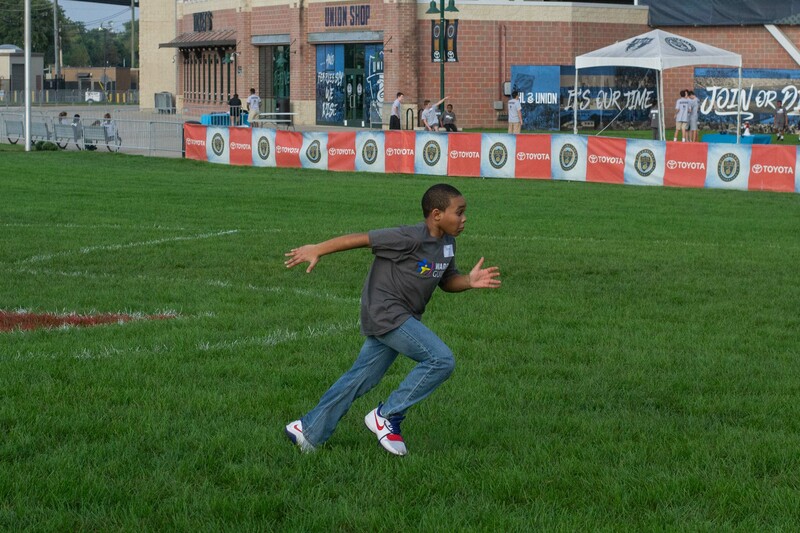 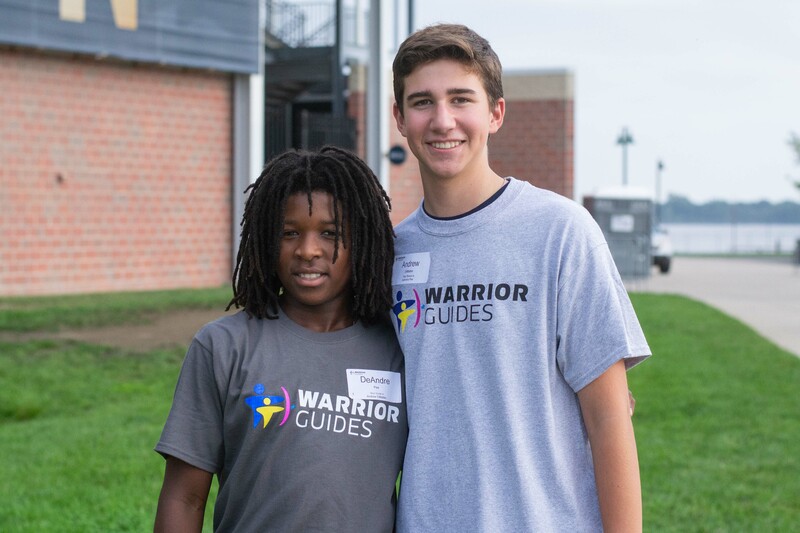 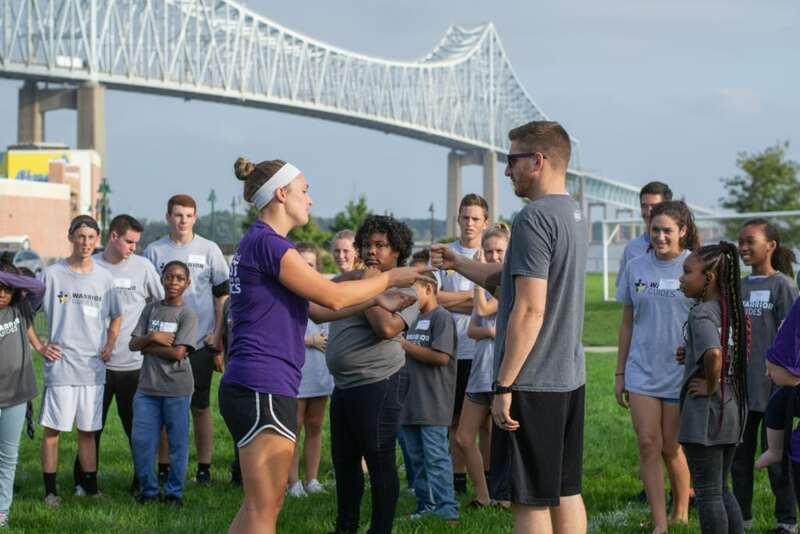 The group got together at the Talen Energy Stadium – home of the Philadelphia Union in Chester, PA. New this year, everyone received their own Warrior Guides shirts labeled Brave or Guide respectively. 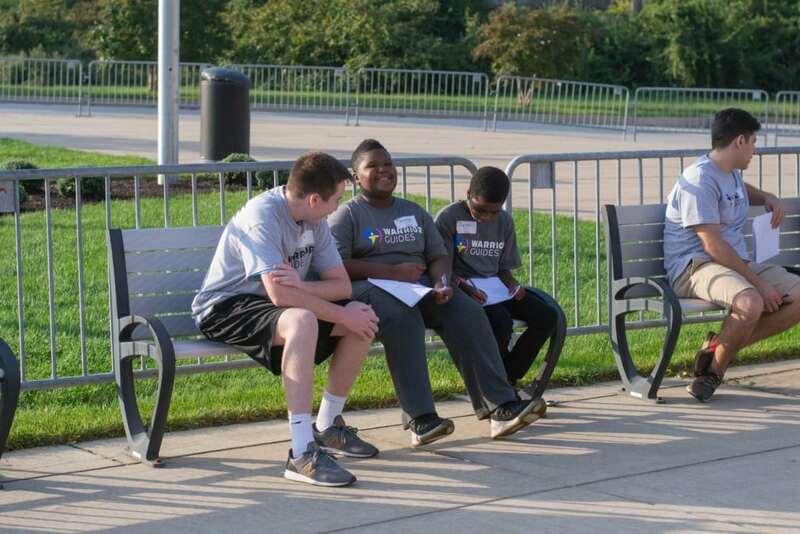 After everyone checked in and was paired off with their new buddy, the fun began. 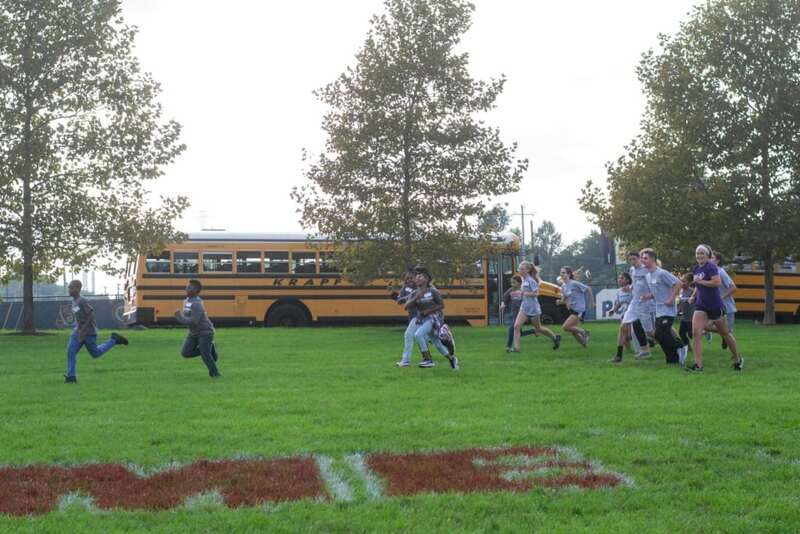 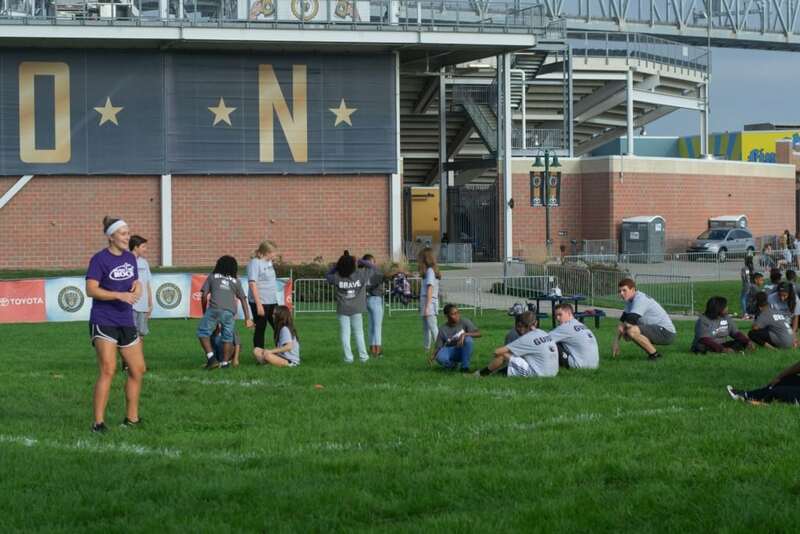 The large group broke up into four smaller groups and participated in various activities, rotating every 25 minutes. 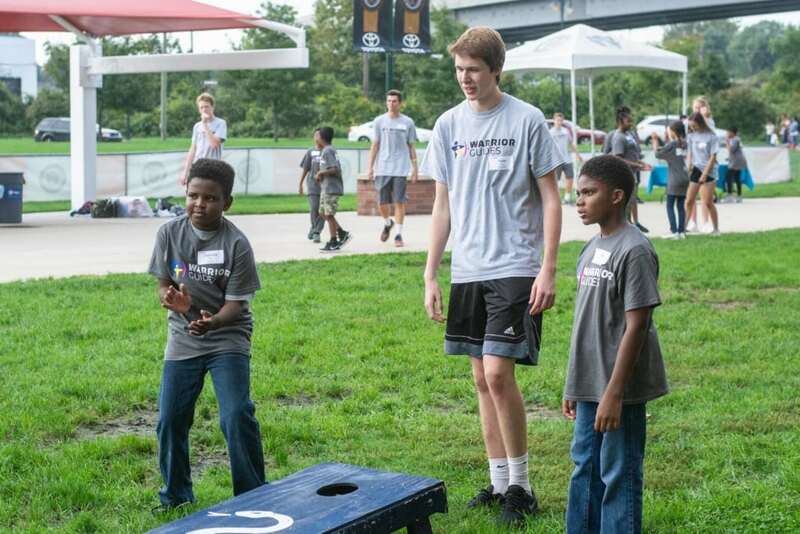 One of the activities involved working with the organization Push the Rock. As per their website Push the Rock, “seeks to take the Gospel to the uttermost parts of the earth through teaching Sports.” The 4 members who came out to our Warrior Guide Meet and Greet, ran various team building activities to push the new Guides and Braves to learn to work together to achieve success. 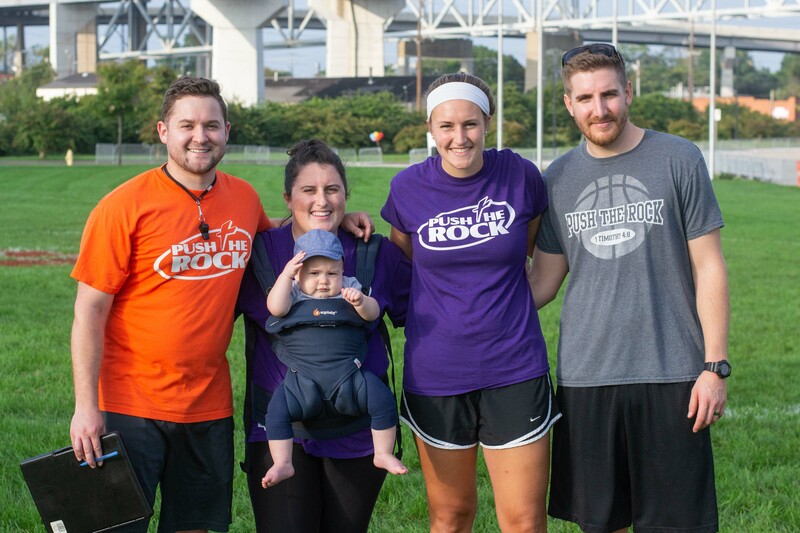 They were wonderful additions to this event, and we look forward to partnering with Push the Rock more in the future! 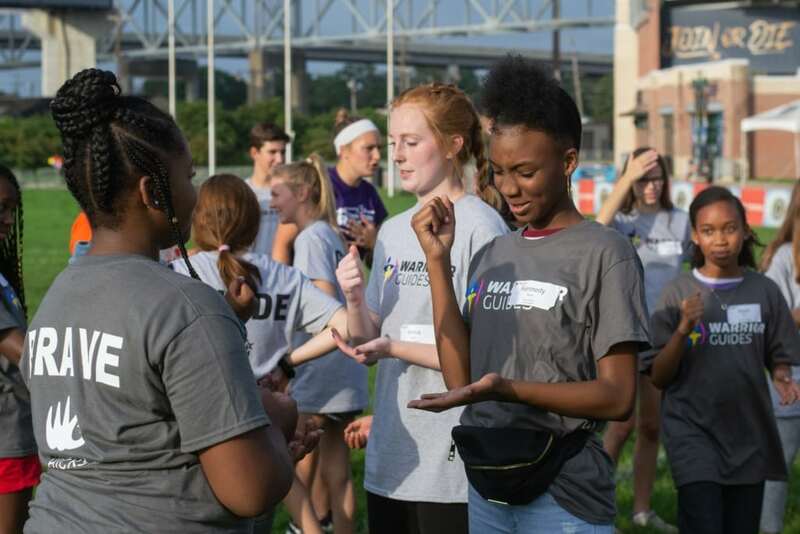 Another station in the rotation of activities included a question and answer portion to help aid the pair in getting to know each, as well as various ice breaker games. 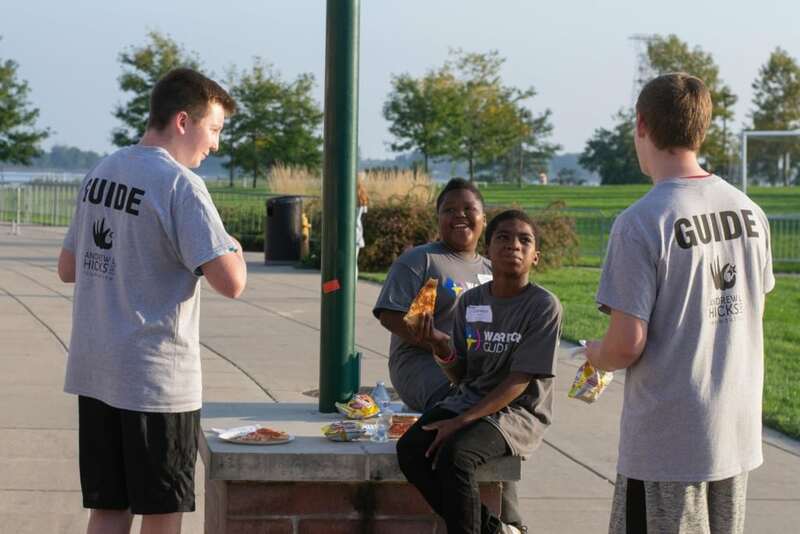 Each group also got to take a break from the fun and enjoy a tasty dinner of pizza, chips, and water. 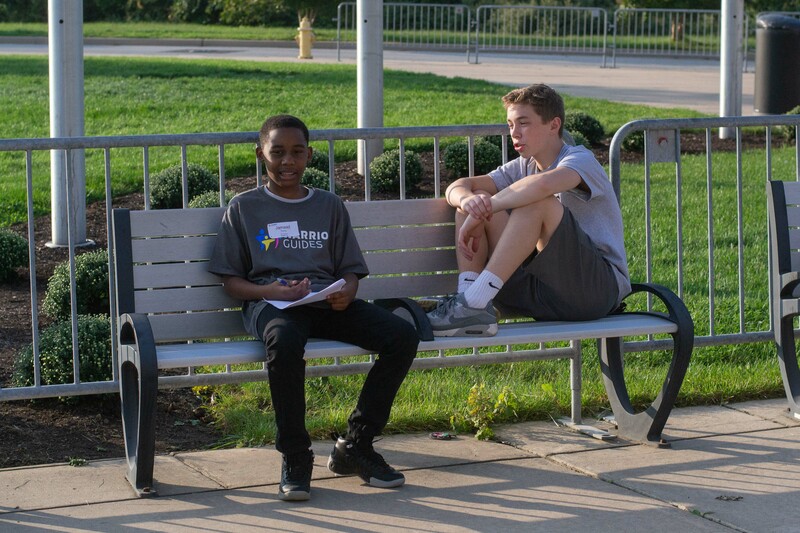 After every group went through each station, it was time for a nice dessert. 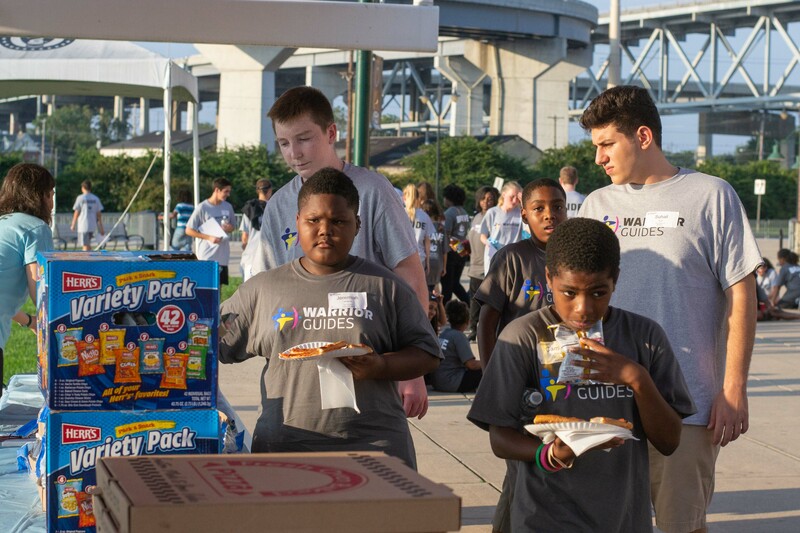 But at this time the Braves parents also arrived to enjoy the ice cream dessert with the group. 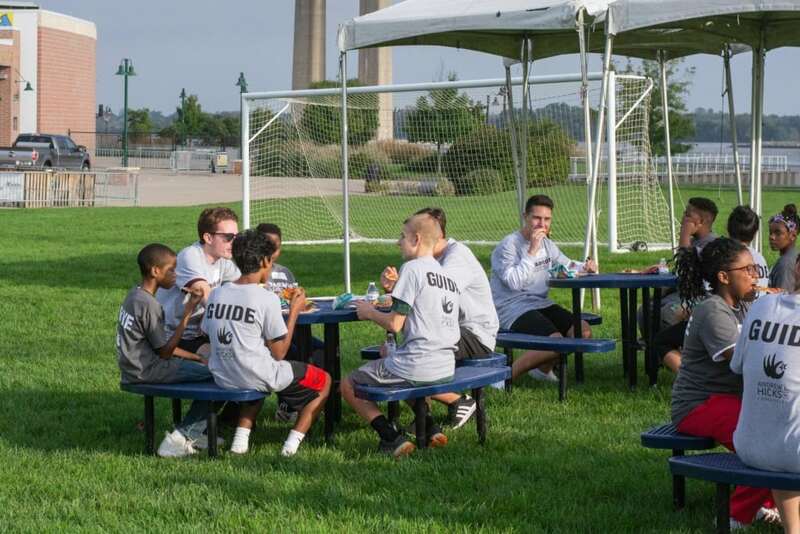 Then the parents were able to meet the Guide’s and get to know who their child would be spending time with this year. 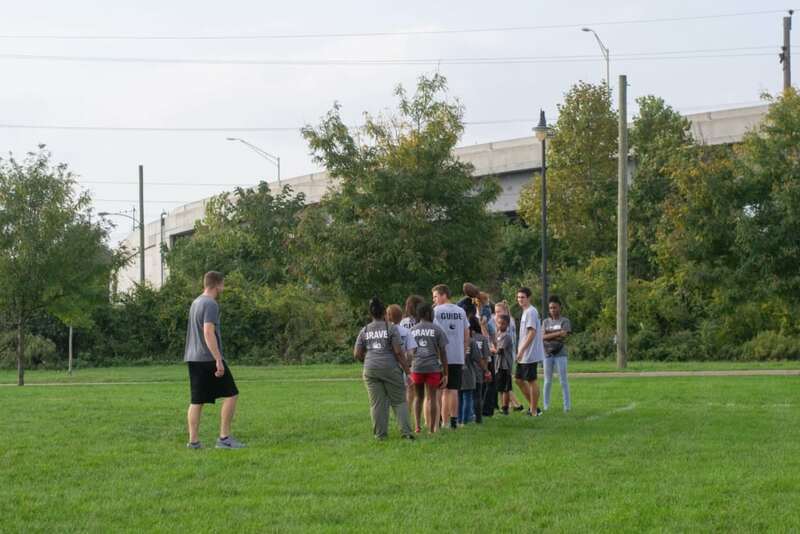 This was a great first event for the group and you can see the friendships already starting to form. 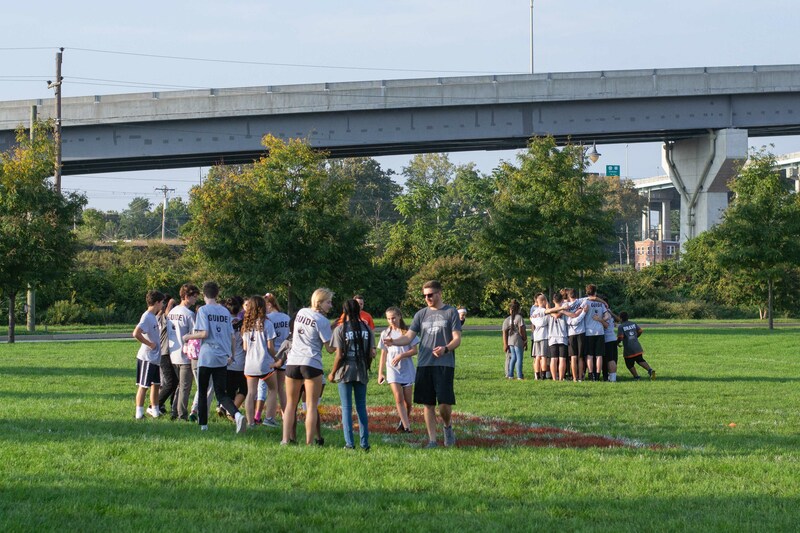 In addition, you can see those who already knew each other from previous events reuniting and building stronger bonds. 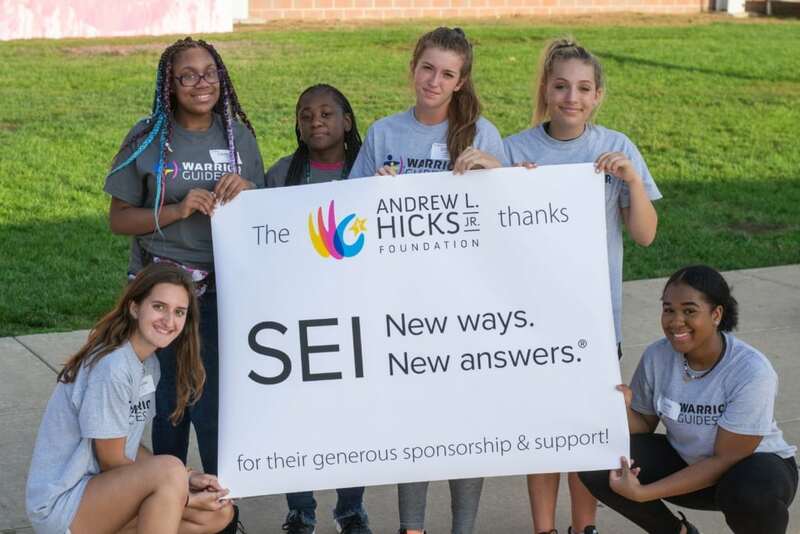 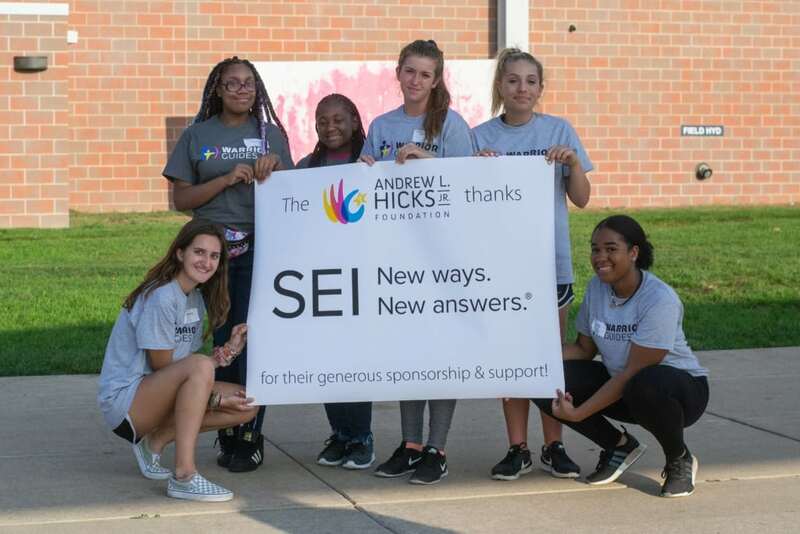 A special thanks goes to SEI Investments Company for sponsoring our Warrior Guides Meet & Greet and making this lovely evening possible. 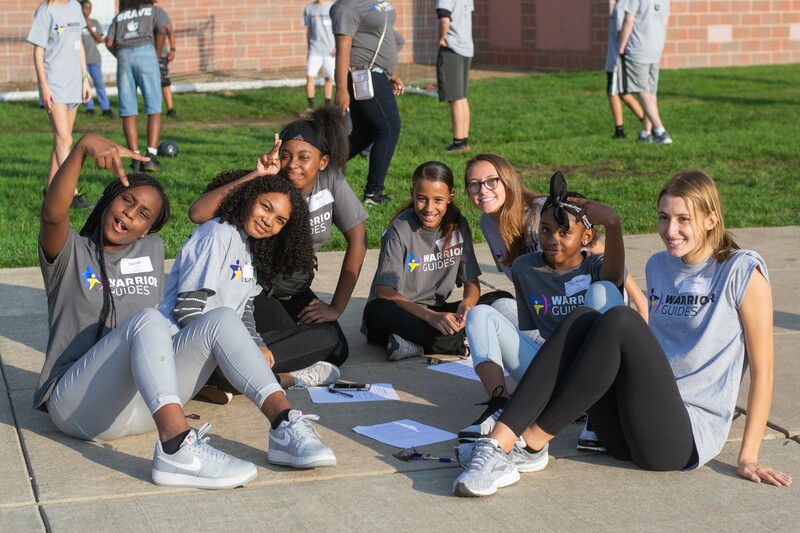 We’re looking forward to the rest of the year with this great group!